Bio's project grew out of the experience of the founding partners, who have been operating in the organic food sector since 1992. 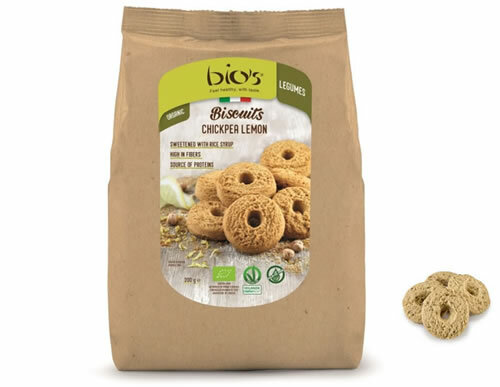 Bio's Produzione e Distribuzione is our division which produces and distributes sweet and savory baked products, by using only organic and vegetable ingredients. The production site is in Castiglione di Cervia, a few kilometers from the Parco delle Saline, which ensures the sweet salt of Cervia for all our productions. Bio’s Production and Distribution specializes in the production of bread substitutes and healthy and good confectionery, 100% bio and vegan. Bio’s savory baked products Bio’s produces a wide range of bread substitutes: puffs, unleavened bread, rusks, breadsticks and crackers with cereal flours (wheat, oats, spelt, Kamut, barley and rye) and legumes (chickpeas, lupine and lentils); seasoned only with cold-pressed extra virgin olive oil, enriched with spices, algae or oil seeds (flax, sesame, chia and hemp). 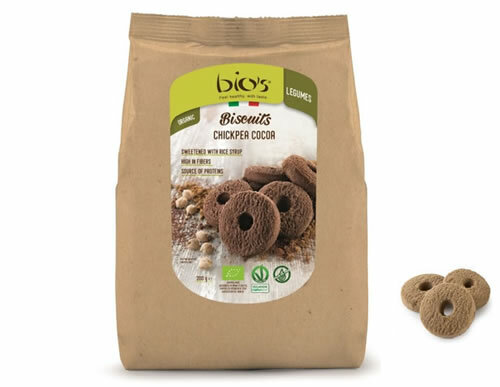 Bio’s sweet baked products Our biscuits do not contain palm oil. They are made with pouring and cutting machines, in different tastes and shapes (hearts, stars, flowers, leaves, wheels, etc.). They are all certified Bio and Vegan OK, and do not contain traces of eggs and dairy products. "Bio's" comes from a holistic view of well-being and health. "Conscious, with taste" convey the perfect synthesis of what we feel. Our products are characterized by their attention to healthy principles, quality, as well as being pleasantly tasty. In line with its philosophy, Bio's protects biodiversity. The Grani Antichi di Romagna flour is the result of as many as 10 varieties of ancient wheat species, organic and local. Rieti, Gentil Rosso, Inallettabile, Frassineto, Verna, Marzotto, Abbondanza, Mec, Centauro, Belvedere… all harvested in an area of 500 hectares in the heart of Romagna, between Sogliano and Mercato Saraceno. Direct contact with the 15 farmers involved ensures a short and entirely controlled supply chain, from field to storage, grinding and packaging. Thanks to this flour, our Grani Antichi di Romagna line gives sweet and savory products a unique taste and a small quantity of gluten, making them more digestible and well tolerated by the body. Our products are distributed under both our own brands and Private Label. “Private label” projects for individual customers can be developed for both Italy and foreign countries, customizing products according to the request, which may be varied in terms of size, recipe and staples. Not everything can be done well at home and this is why we have decided to developed new product lines with the collaboration of other companies in the sector having quality and taste characteristics that are the basis of our work. This is just a start and it will be enriched in the coming months with the introduction of other products of excellence. Through the platform Bio’s Produzione and Distribuzione we directly distribute our products throughout Italy: large-scale retailers, organic shops, gluten-free shops, sports shops, herbalist’s shops, pharmacies, OTC pharmacies, bars, restaurants and hotels. In addition to the products we produce, we market other important lines enriching our catalog. Life Food, leading company in raw production, with its range of 120 raw, bio, vegan and gluten-free references. Destination, French brand specializing in the selection of coffee, tea and herb tea. Kotanyi, historic Austrian company, established in 1881, European leader in the sector of spices. Galvanina, leading company in the distribution of soft drinks. Saline di Cervia, Sweet integral sea salt of the millenary salt pan of Cervia. PepUp Life, innovative packages of seeds ready to sprout.